Named by a complete accident, the town of Cripple Creek was named by a rancher with a clumsy assistant. It is said that the two were building a shelter near the creek when the assistant accidentally discharged his weapon. The loud noise and confusion however, startled a calf that broke its leg while jumping the creek. The rancher referred to the area as Cripple Creek and the name stuck. A late discovery in the world of mining, Cripple Creek was discovered initially in 1874 with some minimal gold found. The find did not draw much attention. In 1884 there was another small peek in interest though the gold find turned out to be a false alarm. Due to the lack of gold found and the fake rumors going around, Cripple Creek produced very little interest until much later. In 1890 a young ranch hand, Bob Womack was the first to make the a big discovery and resulted becoming one of the wealthy prospectors. This lead to one of the last rushes for gold mining history as people from far and wide began pouring in. 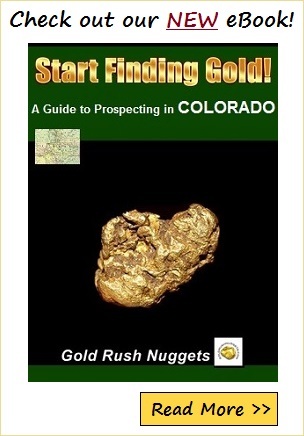 Being late to the gold rush party, the small area just west of Colorado Springs is known to have produces over $400 million in gold and close to 30 millionaires by 1930. Cripple Creek had very busy mines such as the Portland Mine, which at the height of production, had over 700 miners. Gold Production peaked by 1900 producing and around $18 million that year. There was money to be had and more than plenty of people to grab it. One such example was Mr. Winfield Scott Stratton who is known to have discovered the Independence mine in 1901. He later sold it for 11 million dollars. All was not simple and happy in the small town, however. There were labor issues as well as productions problems that were the cause of a lot of strife. In 1894, there was a 5 month strike by the Western Federation of Miners. The strike was due to a change in the work day by the owners. They wanted to extend the 8 hour day work day to a 10 hour day. Needless to say, this lead to many violent interactions. There was so much conflict between the miners and the militia employed by the mine owners that the governor called in the army to restore the peace. In the end, they resolved to keep the original 8 hour work day and a minimum $3 wage per day. This victory for the union gave way to many other similar agreements in places of conflict. However, later in 1903 during the Colorado Labor Wars, there was so much tension that the only resolution involved the National Guard coming to the rescue to keep the violence to a minimum. Work continues on and off as well as the struggles leading up to the Federation deciding to leave the mines all together in 1904. Another difficulty for the mines during this time was that unlike many other gold towns, the gold in Cripple Creek contained gold-telluride minerals. This meant the use of the chlorination process which was more complicated and labor intensive than the usual stamp milling and amalgamation. Eventually chlorination was eliminated and cyanide leading became the standard practice. One of the biggest obstacles in mining establishments has always been water. As the work became deeper, drainage tunnels were driven. These helped to drain the mines. The Carlton Tunnel, completed in 1941 was one of the longest as it reached deepest levels of the Vindicator mine. However, the mines having been closed during World War II and the post war price of gold at $35 per ounce, meant the finances did not line up and the mining operations in the area shut down. All was not lost however. In 1976, Golden Cycle and Texas Gulf joined forces to create the Cripple Creek and Victor Mining Company, and suddenly the mining town was reborn. Pit mining was allowed in 1994, and has continued to keep business going. Though there have been various owners, in 2011 when the mine was owned by Anglo Gold Ashanti Corporation the company poured its 4 millionth ounce. In June of 2015, The Newmont Mining Corporation bought the mine for $280 million dollars in cash. They are the current owners of the mine. Gambling was also made legal in 1991 which has helped improve tourism and has been the main industry of the town ever since. There is are walking tours and driving tours through the town that allow you to experience the rich mining history as well as the ups and downs of this almost missed, but very profitable gem in mining history.